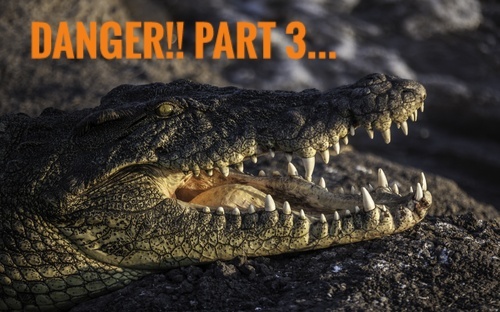 Today’s post is part three in our series about avoiding danger like our ancestors. In the previous two posts, I’ve covered important changes that you can make in your daily life to eliminate toxins, such as improving the air quality in your home, getting rid of hormone-altering plastics, and countering the effects of our modern world’s near-constant EMF radiation. Today, I want to talk about a few more ways you can avoid impacting your health with modern “conveniences,” and even some of the bad habits that you were probably raised believing to be good for you. You may have never even thought to question these dangers before, like many of the other topics I’ve already covered. The good thing is, you can make changes moving forward that will help you and your family lead a less toxic, less dangerous life. As I got ready to write this article, I couldn’t help but put dentistry as the first topic. After all, it’s had a huge impact on my own health over the years, and I really don’t think that enough people recognize the danger that can lurk in the dentist’s chair. When I was young, I had a number of cavities on my molars. The dentist filled them in with silver amalgam, which was probably the cheapest for my parents at the time. As an adult, I had planned to get them switched out for composite (tooth-colored) fillings for aesthetic purposes, and my dentist said no problem: he could just drill those silver fillings out and swap them in minutes. Well, my dental insurance switched before I could make that appointment, and it was a few years before I could change those fillings. Now that I know what I know, I am incredibly thankful for that “inconvenience.” Allowing my dentist to grind those metal fillings to dust would have exposed me to life-altering toxins and heavy metals. Amalgam fillings, which are still used every single day in typical dentistry practices, are some of the most dangerous substances that we could put in our bodies. More than 50% of dental amalgam is made of elemental mercury, a heavy metal that is well-known for causing neurological harm! Just how bad is mercury? Well, this poison has the ability to cause muscle weakness, poor coordination, numbness, skin rashes, anxiety, memory problems, trouble speaking, hearing issues, and can even impact your vision. Mercury-based fillings are placed in your mouth, where you will inhale, ingest, and absorb their impacts for decades to come. Why is this still a thing?! You’ve probably heard the about mad hatter syndrome – the disease that affected hatmakers due to their constant exposure to mercury vapors – right? This chronic poisoning (also referred to as erethism) made these men literally go crazy, as well as gave them tremors, headaches, and other neurological issues. All because they worked in a field that exposed them to mercury fumes on occasion. Now, imagine how dangerous it would be to put mercury in your mouth! For decades! Especially as a child! Recent studies are also finding that the fumes put off from amalgam fillings (which continues for decades after they’re placed) are compounded when exposed to higher levels of EMFs. This means that your teeth could be poisoning you more and more each day, as our daily EMF exposure reaches all-time highs. If you need dental work done, avoid amalgam at all costs. If you already have amalgam fillings, look for a biological dentist that can safely and appropriately remove your fillings and dispose of them in an environmentally-appropriate way. Simply allowing your family dentist to drill those fillings out means that you will absolutely ingest and inhale a slew of mercury dust – and that heavy metal toxicity could take years to remove. To switch out my own amalgam fillings, I had to find a biological dentist in my area that specialized in removing this neurotoxic metal. She wore what looked like a HAZMAT suit, there was a special vacuum that caught the mercury fumes, I was given a nasal respirator so I didn’t inhale through my mouth, and a dental dam protected me from ingesting any of the amalgam bits. It seemed like something out of a sci-fi movie, but I was able to avoid those fillings causing me even more harm than they already had. Unfortunately, amalgam isn’t the only dental concern to be aware of today. Many composite fillings and sealants are made with BPA-based resins. We covered the impacts of this estrogenic chemical in part two, but in case you missed it: BPA has the ability to disrupt every single endocrine system in our bodies, from our metabolism to our heart rate and everything in between. Avoid it at all costs. Your best bet is to find a biological, holistic dentist who uses non-reactive, non-toxic materials and (hopefully) even tests you for biocompatibility. Avoid fluoride whenever possible, and focus your attention on why you have dental issues (deficiencies in vitamins D, K2, and A are usually the root cause!). You can also make your own toothpaste using our recipe on the Bone Marrow page. After all, as we’ve already talked about in part one, our ancestors didn’t have the dental worries that we do today. They didn’t brush their teeth, didn’t floss, and didn’t get fluoride treatments or sealants as a child. And guess what? They also didn’t get cavities! This is due to a few different things: our diet has changed (now focusing more on carbohydrates and simple sugars), our gut flora has changed (allowing the bacteria that cause cavities to thrive), and our overall health has declined (due to vitamin and mineral deficiencies). By moving toward a healthier, ancestral way of life, you’ll see the benefits in your dental health, too. Comment: Most people aren't ready to have the mercury removed from their mouths... they're not strong enough to endure the toxic load from the procedure. Get familiar with Louisa Williams' 5-Dental Detox Days and find a qualified biological dentist to get the job done right. Also, if you haven't already read the article ACTIVATING AN ANCIENT PATHWAY [FOR DENTAL HEALTH], it's a must read. Go to our Bone Marrow page and read that section. I grew up eating home-grown (organic) foods and grassfed meats, thanks to my grandma’s farm. However, the first real change I ever made when attempting to detoxify my life involved the cleaning supplies in my home. Once I started eliminating cleaning products, it was like opening Pandora’s box – I couldn’t stop questioning (and tossing out) everything that I had once believed to be harmless! I had grown up with the smell of Pinesol and Windex on Saturday mornings, along with fragrance plug-ins in every room and aerosol furniture polish. Every couple of months, we would bring out the Rug Doctor and scrub the carpets, complete with a foamy, concentrated carpet cleaner. Now? I can’t even stand the thought of those products, let alone the smell. Obviously, our ancestors didn’t have a bucket of chemicals for their weekend clean-outs. Their huts and caves were kept tidy (probably with a light sweeping), but they weren’t likely to be concerned with streaks and a little dirt. In modern times, we can’t necessarily neglect our homes’ cleanliness altogether, but there are ways to keep healthy while we clean. Today’s cleaning products are nothing short of noxious, dangerous toxins in a pretty spray bottle. They can disrupt our endocrine systems, give us headaches, cause respiratory distress, aggravate (or even cause) asthma, lead to neurological disorders, and even cause cancer. Honestly, we can’t even be surprised: almost all of today’s household cleaners have warnings on them that they are “hazardous to humans and pets.” Yet, we spritz our homes with them regularly, even around our children. Phthalates: If it’s fragranced or is an aerosol, it has phthalates. They’re even found in some toilet papers! These endocrine-disrupting chemicals will cause infertility, metabolic disorders, and migraines, to name a few. PERC (Perchloroethylene): This “possible” carcinogen is found in dry cleaning solutions, carpet and upholstery cleaners, and even laundry spot removers. It’s so dangerous, in fact, that the state of California is forcing it to be phased out entirely by 2023. It is believed to cause cancer, but we also know that it causes dizziness, headaches, and respiratory distress due to the toxicity of this inhaled chemical. Triclosan: Man, we did some serious harm – to ourselves and the environment – with the whole antibacterial movement. The introduction of triclosan, an antibacterial agent, into our soaps, laundry detergents, and even cutting boards had a huge impact on our health as well as our rivers and streams. Luckily, it was banned from antiseptic soaps last year, but you’ll still find it in some dish soaps, toothpastes, and body/acne washes. It’s a likely carcinogen, disrupts thyroid hormones, weakens the immune system, and even increases the chance of children developing allergies/asthma/eczema (likely due to its impact on gut flora). Quaternary ammonium cations (QUATs): Found in laundry sheets, fabric softeners shampoos, and other disinfectants, QUATs cause incredible harm to the body. They’re responsible for about ¼ of all contact dermatitis cases, but can also cause reactions such as respiratory or gastrointestinal distress, skin irritation, and even coma/death. Personally, I’ll take a little static in my clothes over that. Chlorine: Found in more places than just your neighborhood pool and tap water, chlorine can cause serious harm. You’ll see it in your laundry “brighteners,” toilet cleaners, and mildew removers. However, chlorine is a serious thyroid disruptor, causing incredible damage to your endocrine system. I could quite literally go on for days talking about all of the toxic health hazards that you’ll find in your typical household cleaners, but you get the jist. If it comes in a pretty squirt bottle, it’s probably going to make your family sick. Instead, there are so many natural options for keeping your home and clothes clean. Personally, I use a lot of vinegar and even baking soda. It gives me a streak-free clean on my mirrors, makes my clothes soft and fresh-smelling, and even brightens my bathroom ceramics. For my floors, I use a hot water and vinegar mixture combined with a little elbow grease. Good ol’ sunshine works wonders for freshening up clothes; if I use the dryer (usually in the winter), I use wool dryer balls instead of fabric softener. Rather than use air fresheners to make your house smell better, work to eliminate the source of the funk. This is usually as easy as opening windows daily and adding house plants, both of which will circulate the stale air and help remove the toxins that you breathe in daily. You might have the same effect as I did once you start eliminating these common toxins from your home: I’ve found that the longer I go without exposing myself to household cleaners, the less I can tolerate them. I used to scrub my floors with toxic cleaners weekly and spray air fresheners without abandon; now, if I walk into a home or public restroom that has recently used them, a headache begins almost immediately. This signals to me just how poisonous these chemicals really are. Comment: Yes, good 'ol fashioned sunshine works wonders. We also only keep vinegar, baking soda and a little effort on hand to keep our home in good order... these same ingredients work for our dish washing and laundry as well. If you could have seen my beauty products in college compared to now, you’d probably get a good laugh. I used to be a fan of those popular mall body shops, full of nostril-attacking fragrances. Now, my personal products involve a lot of clay, charcoal, and coconut oil. I make my own toothpaste instead of buying toxic, fluoride-filled tubes at the store. Instead of soaking in fragranced bubble baths with petroleum-based chemicals, I add in epsom salts and bentonite clay to detoxify my body. And rather than slathering paraben- and phthalate-containing lotions on my body’s biggest organ (my skin), I enjoy the benefits of cold pressed, organic coconut oil. Some of the worst personal product offenders I’ve found haven’t even been in my own cabinet, though; they’ve been in my children’s. For instance, modern disposable diapers contain a disgusting number of toxins, from the bleach used on the linings to the VOCs and Sodium Polyacrylate in the absorbent core. Sure, these make it easier for your baby to be on the go, just dropping a diaper in the trash can at your next stop, but at what cost? Disposable diapers are obviously a very modern invention, only coming around in the late 1940s. Before then, some form of natural diaper was the status quo for literally everyone, from the cloth diapers of our great-great-grandparents to the various inventions of some of our earliest ancestors. For instance, many of our ancestors would wrap babies in animal skins or swaddling bands to contain waste. Innuits would wrap their babies in sealskin that was lined with moss for absorption. Incas made a similar “diaper” out of rabbit skin and grass (sounds itchy). Navajo mothers utilized shredded cliffrose bark, which they stuffed underneath their babies on their cradleboards. Beginning in Elizabethian times, mothers started using cloth diapers – though they didn’t wash them often back then, they would only dry them. It wasn’t until just a few decades ago that we started putting toxic chemicals against our new babies’ soft skin and reproductive organs, though. Just how damaging are these irritating and carcinogenic chemicals, especially when they are placed against our babies’ skin 24 hours a day, 7 days a week, from the moment they’re born until they’re 2-3 years old? We don’t really know, but I would guess it’s pretty bad. Instead of putting your baby’s sensitive organs in a chemical casing, look into natural options. For my sons, I used organic cloth diapers which I bleached in the sun. The benefit was twofold: they weren’t subject to toxins daily and they potty-trained faster because the cotton isn’t as absorbent (and therefore, more uncomfortable to sit in). Some of my friends took it a step further, practicing elimination communication to potty train their babies from birth. Whatever you choose, be sure that the things you are putting on your and your children’s skin is natural and free of dangerous toxins… from beauty products to diapers, lotions to shampoos, and everything in between. Comment: This is why I say to avoid non-native things. If you're not wearing native, natural clothing (especially near your nether regions), you're just asking for trouble. The last danger I want to talk about doesn’t fit into the “household” category or the “environmental” category. Like EMF exposure, it’s near-constant in our lives. Unlike EMFs, though – which we cannot completely eliminate due to power lines, cell towers, and such – we can control our exposure to this next danger: blue light. Blue light is the highest energy wavelength of visible light. It’s found predominantly in modern tech devices, such as the cell phone you might be reading this article on or even your computer screen. It’s also emitted by the sun – so our ancestors encountered it – but, of course, this source isn’t available 24 hours a day. Blue light is also incredibly harmful, as it’s the only color of light that’s able to penetrate all the way to back of the eye, through our retina, and into our optic nerve. More importantly, the damage caused by blue light is cumulative, and can even lead to macular degeneration (inevitable blindness) in some people. Children are the most at-risk when it comes to blue light, since they don’t yet have the blue pigments required to filter out much of this wavelength of light. This worries me considerably, as my own kids use computer screens and tablets at school almost daily (much to my dismay), and spend many of their hours in a classroom lit by fluorescent (blue-emitting) light bulbs. Aside from the physical danger that it poses to your eyesight, blue light can have other health impacts. If you’re exposed to blue light in the hours before bed, it can actually suppress your body’s melatonin production. This can lead to difficulty falling asleep (or even full-blown insomnia), as well as a delay in reaching REM sleep once you do finally zonk out. This means that you will be unable to get adequate sleep, and the sleep you do get will be insufficient to help fuel and heal your body. Messing with the body’s circadian rhythms can have a significant effect on your health, beyond just making you tired. It can create problems with your cardiovascular, metabolic, and immune systems. It can disturb your mood and compromise your cognitive function. If you are ill or your body is trying to fight the effects of a toxic environment, a skewed circadian rhythm will keep you from healing. To ensure that blue light doesn’t become one of the biggest players in the breakdown of your health, there are a few things you need to do. First, put your cell phone/laptop down. Not only will this help you foster strong relationships with those around you, but it’ll have a positive impact on your mental well-being. Oh, and you’ll avoid blue light damage accumulation. If you do use your phone or computer, try to avoid it after about 7-8pm. Now look, I get it: I am a writer, and the evenings are often my time to work uninterrupted. So putting away my devices after sundown isn’t always possible. Well, if you absolutely must use them after dark, at least wear blue light blocking lenses. These lenses are incredibly affordable, and work to safeguard your eyes (and your body) from the impacts of that high-energy light. You’ll sleep better, your eyes won’t be as strained, and you can avoid the irreparable damage that an iPad can cause to your kids’ eyes. Comment: I suggest wearing the UVEX glasses at least 2 hours before going to bed. Even when our whole house is light only by firelight only, I find myself reaching for the glasses because I don't want even a glimpse of artificial ambient light to disrupt my sleep physiology. Once again, they cost 10 bucks... the benefits are massive. While these last three posts have covered a lot of modern dangers, it really only scratches the surface. In today’s world, almost everything that you buy, touch, or wear is toxic in some form or fashion. The key is to make small, lasting changes in your life and in your home. Believe me: once you begin to move toward a more natural, ancestral way of living, the changes will come on their own. The lifestyle shift that might seem impossible to make today will slowly, but surely, find its hold. If you truly want to avoid danger like our ancestors, it takes a concerted effort. Figure out the areas of your life that are the most dangerous, and begin there. For some of you, that might be eliminating toxins in your home. For others, it might be a shift in your diet or the things that you put into your body (and your kids’ bodies). Even if the change feels overwhelming, start by taking one small step at a time. One day, you’ll look back and realize that you’ve come a long, long way. Trust me, I did.